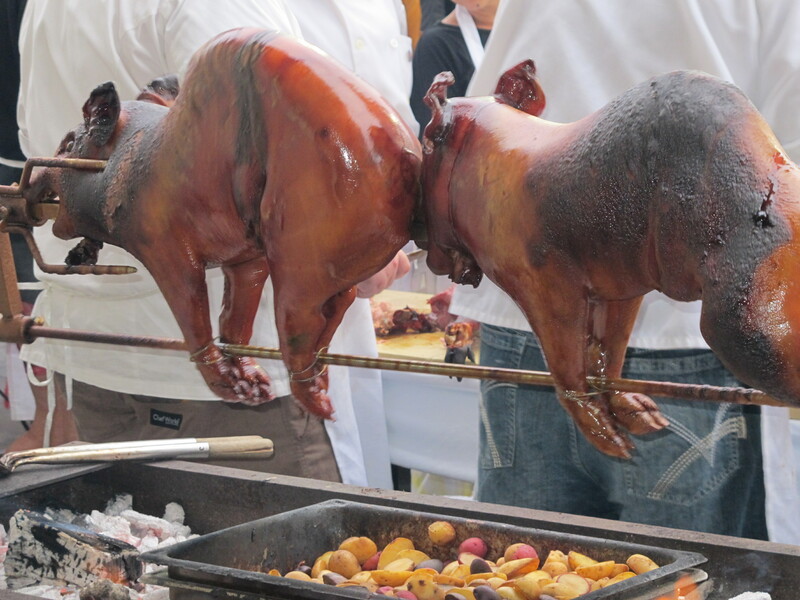 Last night’s Chefs in Shorts featured ok food, excellent food, and wasted food. The last of which being somewhat disconcerting at an event benefiting the Greater Boston Food Bank. 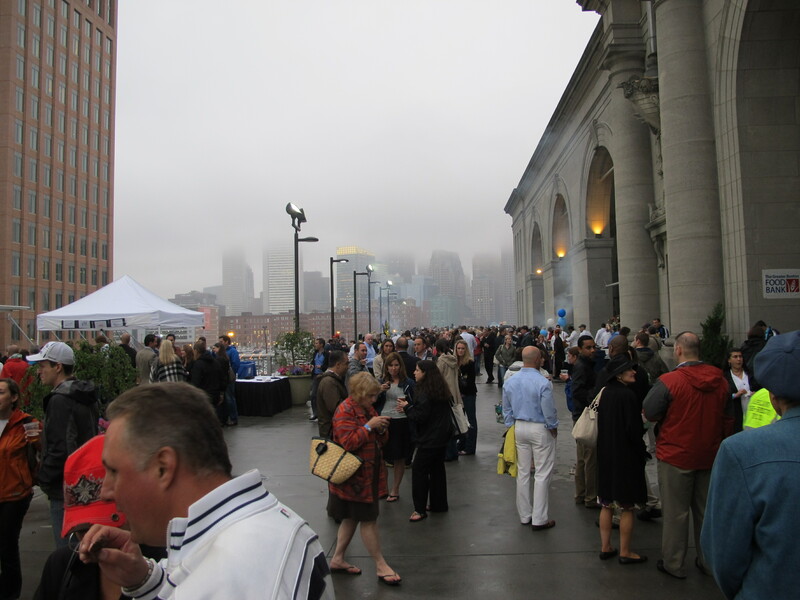 Despite the unseasonable cold and rain, the atmosphere was lively and the participating chefs did not hesitate to grill entire piglets, roast fish, and delicately char pork belly on the expansive outdoor balcony of the Seaport Hotel. Highlights of the evening were the half burger from Trina’s Starlite Lounge, the sirloin and blue cheese crostini from The Oak Room, Bond’s pork belly, and Brian Poe’s Mushrooms – all were served in small portions, one to three bites. At an event like this, smaller plates are vastly preferable as you’re eating on your feet, and there’s so much to choose from. You don’t want to commit to an entire hotdog, or a huge stuffed pita, so most of your plate (and your actual plate, which was another waste concern) goes into the trash. While the generosity of the chefs serving large portions was appreciated, I hope next year they’ll remember that smaller is better. 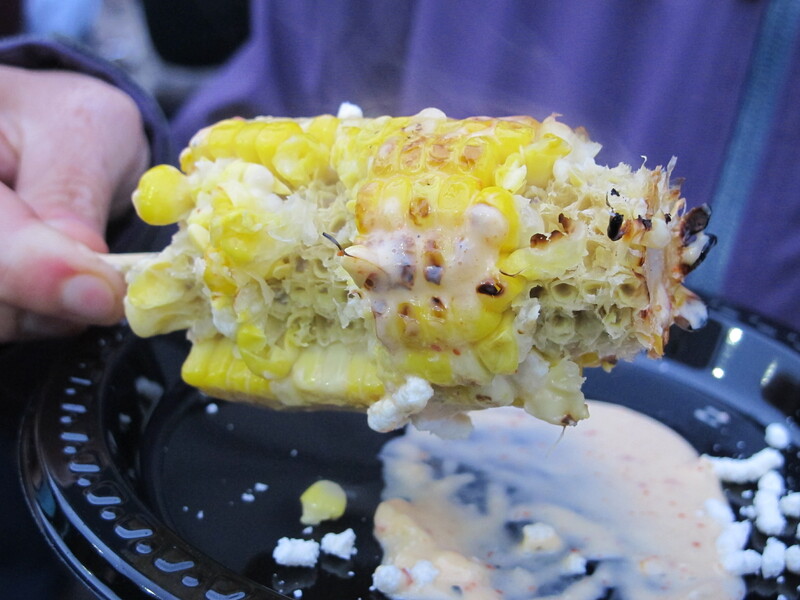 My two favorite dishes of the evening were the roasted corn from Papagayo (one of the very few vegetarian options), and the dessert chipwiches from Market. All in all it was a lovely evening and a great cause. Voila!